The great annual migration of millions of zebra, wildebeest and other antelope top almost every list of safari experiences and East Africa is the stage for the world's greatest wildlife drama. Predators follow the Wildebeest Migration closely, waiting for an opportunity to strike weak prey as they make their way into different territories. The precise timing of the Wildebeest Migration changes annually and is a very unpredictable and spontaneous natural event but the best time is usually between June and August. Your safari vacation begins with a warm welcome by our Kenya representative at the Jomo Kenyatta International Airport (NBO) in Nairobi. 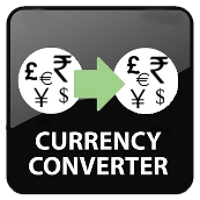 Go through customs, get your luggage and our driver will transfer you to the group's hotel. Meet your fellow travelers, relax and have an optional dinner. Get a good night's sleep as the excitement starts tomorrow. After breakfast, meet our drivers for a safari briefing which follows the adventures ahead. Then we depart by jeep, driving across the equator from the Southern to the Northern Hemisphere, onwards to the semi-arid region of the Samburu Game Reserve. The name Samburu is of Maasai origin, a ‘samburr’ is a traditional leather bag the Masai use for carrying honey and milk. This region is characterized by vast, open landscapes, dried riverbeds (depending on the season of the year) and its red volcanic soil. Rock outcroppings contrast against the dense woodland vegetation along the banks of the Ewaso Nyiro River, the river that gives life to the reserve. The area is home to the Samburu tribe, who are ‘cousins’ to the Maasai people with their own distinct cultural traditions. Arrive at the lodge in time for lunch, followed by some leisure hours for a siesta or swim before we depart for an afternoon game viewing drive, returning back to the lodge before sunset. This are two more days in the Samburu Game Reserve will be spent searching for the Samburu five and observing the vast unspoiled scenery during morning and afternoon game drives. The park is plentiful with crocodiles that bask on muddy riverbanks and velvet monkeys that frolic in the late afternoon sun. Samburu is renowned for its rare species of fauna known as the ‘Samburu five’. These five particular animals are usually only found north of the equator – the long necked gerenuk, the reticulated giraffe which is characterized by its liver-colored geometric patches defined by narrow white lines, the Grevy’s zebra which is smaller than the common zebra and looks more like a horse, the beisa oryx with black horizontal stripe running across its lower flank and the Somali ostrich males which have blue-grey necks and thighs. After breakfast at the Lodge, we will depart by road to Ol Pejeta Conservancy arrive at the Sweetwaters Luxury Tented camp in time for lunch followed by some leisure hours for a siesta/ swim. Later in the afternoon we will proceed on an afternoon game viewing across the vast savannah grasslands, a terrain favored by elephants. Visit the Chimpanzee Sanctuary, the only one of its kind in Kenya.The sanctuary is home to orphaned chimpanzees from the Jane Goodall Institute in Burundi. A walk around the sanctuary will give us an opportunity to spot the orphaned chimps. Sweetwater’s Game Reserve is one of only for private game reserves in Kenya and provides visitors with a unique combination of facilities and activities. This 24,000 acres reserve situated within 90,000 acres of the Ol Pejeta Conservancy enjoys magnificent views across the plains to the snow-capped peaks of Mt. Kenya, and has abundance of wildlife and tropical vegetation. We will have a chance to view an amazing variety of wildlife such as zebra, lion, Rhinos,leopard, thomson’s gazelle, grant’s gazelle, oryx, eland, baboon, elephant and various species of birds. Return to the camp before sunset. Today's destination is Lake Naivasha Sopa Lodge , therefore we check out, depart after breakfast and arrive in time for lunch at our lodge by the lake. 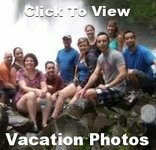 In the afternoon we will take a sunset boat ride at the lake as well as enjoy a nature walk at Crescent Island, an excellent way to see wild animals while on foot. The Island is a private game sanctuary, which is home to zebra, wildebeest, gazelle, Vervet monkeys, hares, genet cats, waterbuck and giraffe. Or you may wish to lounge by the pool admiring the view of zebras, Giraffes and waterbuck just outside the fence. Today our safari will take us to the jewel of Kenya’s parks, the world famous Masai Mara Game (Wildlife) Reserve. This is Kenya’s number one park and is always on every tourist’s “Must see list”. Full of life with various types of animals and birds, Masai Mara crown’s the climax of every safari in Kenya. Its rolling grasslands and acacia savannah have time and again been captured on film with the movie “Out Of Africa” being the most famous. Masai Mara is home to the “Big Five” (Elephant, Buffalo, Lion, Leopard and Rhino) and over 450 bird species. Apart from the big five, the Masai Mara is most famous for the spectacular annual migration of over a million wildebeest, zebra, gazelle and other animals from the Serengeti in northern Tanzania crossing the Mara River into Kenya in search of fresh feeding grounds, which takes place in late July or August. During this crossing, hundreds of animals are swept away by the first moving Mara River and others are killed by the ferocious African Crocodiles. This crossing gives true meaning to the phrase “Survival of the fittest”. Your home for the following two nights will be at one of the excellent Mara Sopa lodges. “Sopa” means welcome in the Masai language and true to its name, the lodge and its staff offer first class customer service and accommodations under a welcoming atmosphere. Set in the Oloolaimutia valley the lodge blends in perfectly well with its surrounding hillside landscape. After lunch and some time for relaxation, our driver/guide will take us for an afternoon game drive in search of the shy and elusive leopard, the solitary and ill-tempered Rhino, lions, buffalos, and many others. As the sun starts to edge its way dip into the African horizon it will be the perfect opportunity to photograph the beautiful Mara landscape. We have breakfast at the lodge before our half-day game drive at Masai Mara reserve. Then enjoy lunch and an afternoon at leisure. Take a swim in the pool under the African sun or just sit back and relax. Later in the afternoon we visit the Masai Village. The Maasai are a Nilotic ethnic group inhabiting southern Kenya and northern Tanzania. They are among the best known local populations due to their residence near the many game parks of the African Great Lakes, and their distinctive customs and dress. The Maasai speak the Maa language a member of the Nilo-Saharan family that is related to Dinka and Nuer. Interact with them as you learn more about their traditions. Today in the Masai Mara Game Reserve will be on the hunt for the big cats of the Masai Mara. 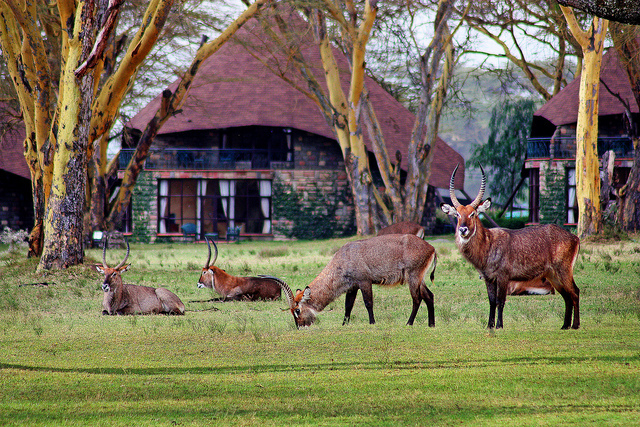 Enjoy the spectacular view of the famous migration during our game viewing and remember to keep a sharp lookout. We may witness a dramatic hunt; a solitary leopard retrieving its kill from the high branches of an acacia tree or a herd of elephants protecting their young from predators.The Masai Mara wildebeest migration is considered to be one of the wonders of the world, especially as they cross the Mara River.The reserve is also regarded as the most spectacular wildlife viewing area in Kenya with over 95 species of mammals and over 400 species of birds. Game viewing is never dull in the Mara and patience is rewarded with unique sightings, such as a pride of lion stalking prey. All meals will be served at the camp. After breakfast we depart for Nairobi with a stop at the Nairobi shopping mall for a snack, light lunch or last minute shopping. Then we will go to the Giraffe Manor. Since its founders rescued a baby giraffe named Daisy from a heavily-poached area of western Kenya in 1974, their home has become a household name among wildlife lovers world-wide. 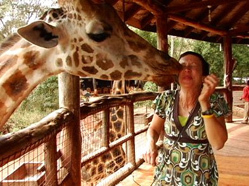 Here we can feed the giraffe as well as kiss them. This evening is our Farewell Dinner at the world famous Carnivore Restaurant, considered “Africa’s greatest eating experience” (if you love barbecue it doesn’t get better than this), and home to the “Simba Saloon” one of Nariobi's most popular night clubs. After dinner, you will be transferred to the Airport for your safe journey home. so there is never a need to pay a "single supplement".